My over-the-stove microwave was making this annoying vibration sound. So Dave “fixed it” for me. 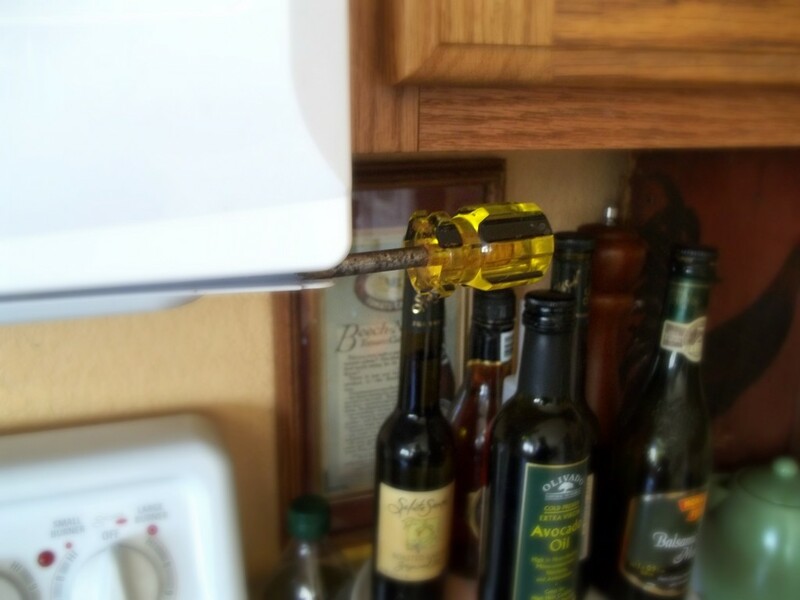 Because having a screwdriver protruding from my microwave is way less annoying, right? Haha. It is how he shows love. Laughing so hard right now! I love it! LOL!!! The sign of a busy man….maybe?